Popular Soundcloud artist Layla Renn is soon to release her debut single which is also a part of her debut EP. The song stands out with its raw emotions and unique use of background bass. July 31, 2018: Great News for Soundcloud star Layla Renn fans. The rising artist is all set to release her debut single “Home” come August. The single is the first installment of her debut EP which will be released in the early quarter of 2019. Composed, written and performed by the artist herself, “Home” is scheduled to be released on August 1st at midnight GMT (Arizona – 7:00). The track was produced, mixed, mastered by Kahdee Productions, leading music producer, talent manager and one among the top 6% of social media influencers. 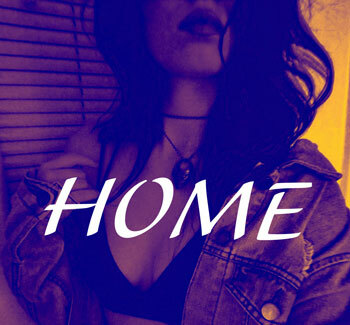 Upon release, “Home” will be available on all major audio platforms including Soundcloud, Spotify, Apple Music, iTunes, Deezer, 8tracks and so on. “It’s a great moment for me to announce the upcoming release of my much-awaited debut track ‘Home’. 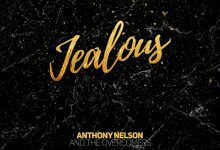 The song is immensely special for me as this is not only my debut single but it also dawns in the journey of my debut EP which will be released in 2019. I am hopeful my fans and all music lovers worldwide will enjoy my latest track”, stated Layla Renn. “Home” is written with thoughts and emotions drawn from the artist’s personal experiences in the past. It has rendered the song with a unique raw emotional flavor that will touch the chords and transcend listeners to a new yet nostalgic world. Speaking further, the artist mentioned about the unique edge of the song that will provide a new experience to the listeners. Layla’s debut single stands out with its novel use of background bass that has been utilized to produce various interesting effects like the feel of heavy rain on the outside of a car or hitting the roof of a house. One of the most popular names on Soundcloud, Layla Renn has been commanding great love and cheer from the music lovers on the platform since she posted her first cover song “Hallelujah” 7 months ago, back in January. At present, her profile on Soundcloud is bustling with 7 million plays and rising. Based in Phoenix, she is also one of the promising names of the emerging underground music scene in Phoenix and is playing a key role in amping her hometown’s appeal in the music space at par with Los Angeles, Nashville and Atlanta. Layla Renn is a versatile singer & songwriter and covers a diverse range of genres in music, including hip hop, pop, dance and electropop. She also sings popular folk covers on Soundcloud. The artist enjoys great ties with Kahdee Productions and apart from producing great music, the duo also joins hands in various humanitarian endeavors.